A dinner jacket (British English) or tuxedo (American English, also colloquially known as “tux”), dinner suit, or DJ is a semi-formal evening suit distinguished primarily by satin or grosgrain facings on the jacket’s lapels and buttons and a similar stripe along the outseam of the trousers. By World War I, the grey option had fallen out of favour but the “midnight blue” alternative became increasingly popular and rivalled black by the mid 1930s. Notch lapels, imported from the ordinary business suit, were a brief vogue in the 1920s. A single stripe of braid covering the outseam on each leg was an occasional variation at first, but became standard by the 1930s. At this time double-breasted jackets and white jackets became popular for wear in hot weather. Custom made tuxedo tailoring service in Dubai provides the perfect solution for typical occasional dresses toglamorize your personality. Tuxedo wear is an idyllic solution for the occasions when you need formal dresses to enhance the beauty of the events. 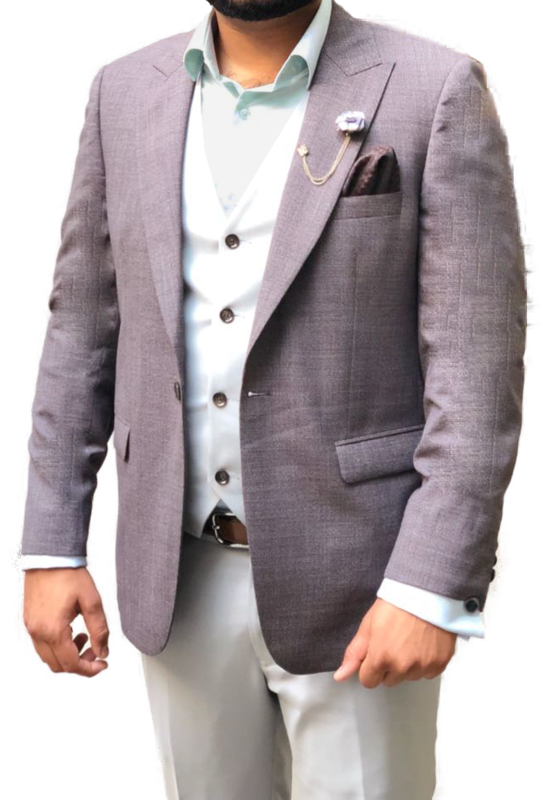 SUITS AND SHIRTS tailoring in Dubai also provides the quick most delivery service of bespoke tuxedo to the customers because we have a proficient teams of skilled tailors that work round the clock and work hard to the utmost satisfaction of the customers. For some special occasion you need a special dress which you do not wear anywhere else for such moments you need tailored tuxedo to be prepared by an expert tailor who knows well about the delicate aspects of tailoring. Weprovide this service in Dubai at the height of expertise level. The events that require formal dresses can be obliged by Tuxedo for it is the only perfect solution for this purpose. The modern and trendy people long for a well-tailored dress that appeal and fit their body shape dreamily. Yourtuxedo suit tailor search ends here. Keeping in view this basic element we provide splendid service of custom tailored tuxedo to our customers. The Tuxedo prepared by our company not only looks graceful on your body but even it looks gorgeous while hanging in your wardrobe. This is most worn Tuxedo. The shawl collared tuxedo looks perfect for all occasions. It has a curved shape and looks very smooth from the start to the end. Tuxedo can also be done with the French Lapel. Very elegant yet simple this type of Tuxedo is prepared without satin and generally this is suitable for daytime occasions. Among all types of Tuxedo tailcoats are very popular and various patterns and designs are seen in this style of Tuxedo. This is the type of coat in which the fore portion of the coat is cut down. Suits come in various designs one of them is Double breasted Suit.